It's hot out there. Record heat blanketing the Bay Area is causing big delays on BART and Caltrain. 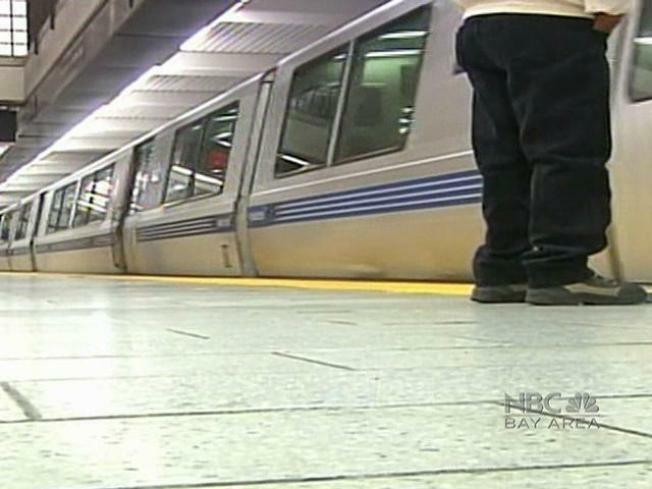 The BART delay is due to an equipment problem on the track and is system-wide. "I am just learning that we are suddenly a experiencing a plethora of problems because of heat," BART's Linton Johnson said. Johnson blames overheating computer equipment that is track-side of the trains. Those computers are shutting down, which means trains are forced to slow down through certain areas, using a "manual mode." Johnson said the train's operators have to slow down to 25 mph, instead of the normal 70 mph. He recommends folks give themselves an extra 20 minutes for their commute home. Caltrain is also experiencing heat-related problems that is backing up peninsula trains by 25 minutes. The problem is the crossing gates in Burlingame and something called "heat restriction." The hot temperatures forces trains to slow down because when it is hot outside, the rails actually become soft and can be damaged by the weight of the train. Trains will slow down to 60 miles an hour between San Francisco and Redwood City. Trains will slow down to 50 miles an hour between Redwood City and San Jose. As for the crossing gates: Caltrain personnel and city traffic personnel are on scene, working to resolve the issue. The hot temperatures have also forced two of the Oakland Public Library's to close early. The libaries are supposed to close if the inside temperature hits 87 degrees and that happened around 4 p.m. Tuesday.